As investor confidence in the long-term validity of Bitcoin being adopted by the mainstream as a means of payment and exchange fades, so has its real-world usage as such. Such a system has the potential to disrupt the current fiat-based economy, become a widely used means of exchange and form of payment, be used as a store of value, and more recently, be used as an investment vehicle. However, as Bitcoin prices continue to tumble to new one-year lows after an 11-month long bear market, and with its $20,000 all-time high now feeling like a distant memory, interest in the groundbreaking new financial asset has also taken a substantial hit. The overall lack of interest can be reflected in everything from the current pricing of the asset, to how often the cryptocurrency is searched for on the search engine Google. Another key metric related to Bitcoin – and a fundamentally important one – has taken a nosedive in the face of continued downtrend: Bitcoin’s usage by commercial merchant payment providers. Bitcoin ultimately becoming the world’s global currency for the internet – as many have pegged it as – requires that Bitcoin be used for paying for goods and services at merchants, which represents a lion’s share of economic activity across the globe. However, according to data from blockchain research firm Chainalysis, it shows that the total value of Bitcoin usage across merchants and payment providers has dwindled by as much as 80%. 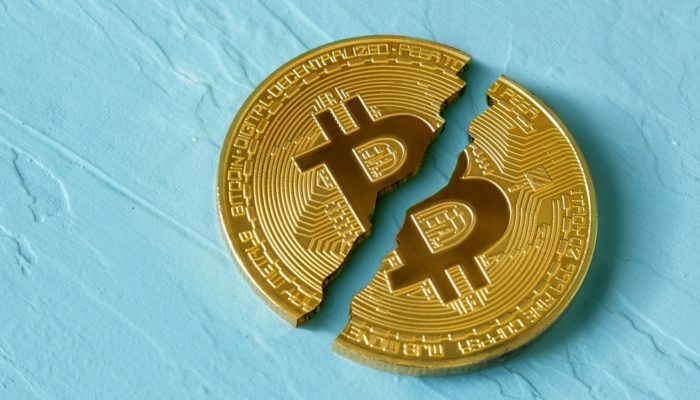 Data shows that the value of Bitcoin payments fell from $427 million in December, to $96 million this past September, when Bitcoin’s price had experienced an extended period of stability. Much of the decline in value can be attributed to Bitcoin falling nearly 80% from its all-time high price in December 2017. However, given another 10 months of adoption, increased price stability, and scaling solutions like Segwit and the Lightning Network being rolled out, Bitcoin’s real-world usage should have only increased. Pundits have often pointed to Bitcoin’s lack of stability as the reason why it could never be adopted as a mainstream currency, but even with record-breaking bouts of stability having little effect, that theory can be thrown out the window for now. Other challenges Bitcoin faces in its uphill battle to become adopted as a means of payment include the HODL effect, where investors refuse to spend the cryptocurrency in hopes it increases in value exponentially, and scaling continues to be an issue. Bitcoin can only process about seven transactions per second, on average, a far distance away from VISA’s 24,000 transactions per second. Second-layer solutions and protocol upgrades like Segwit and the Lightning Network have been launched, or are in development, which should help Bitcoin’s transactional capacity and speeds to increase. However, even these scalability upgrades are a way off from being the perfect solution or widely adopted.